Asus quietly announces their new Chromebook C423. 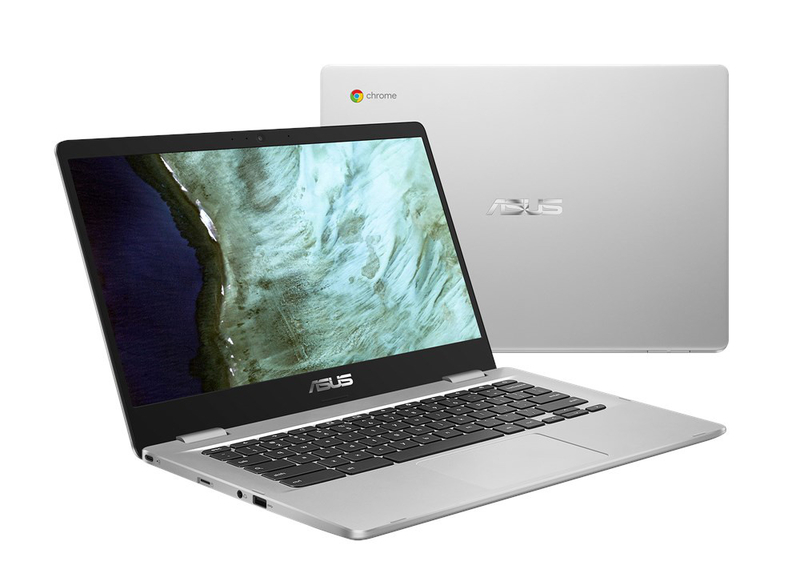 The Chromebook looks to be more mid-range than the high-end with a 180-degree hinge that Asus says allows it to ‘be laid flat to share content easily with friends and colleagues’. It has a 14″ display, with either a FullHD (1920×1080) or HD (1366×768) resolution touch enabled display. Under the hood you’ll find either Dual-Core Intel Celeron N3350 Processor or Quad-Core Intel Pentium N4200 Processor with up to 8GB RAM and 32GB/64GB storage. Wireless connectivity includes WiFi 802.11a/b/g/n/ac and Bluetooth 4.0, it has a combination audio jack for headphone/microphone and 2x USB-A ports and 2x USB-C ports with display and power delivery support – and an HD webcam.